LMG Construction is proud to announce Dylan Rada as our March Employee of the Month. Dylan is retaining new aspects and techniques of plumbing and applying them in the field. 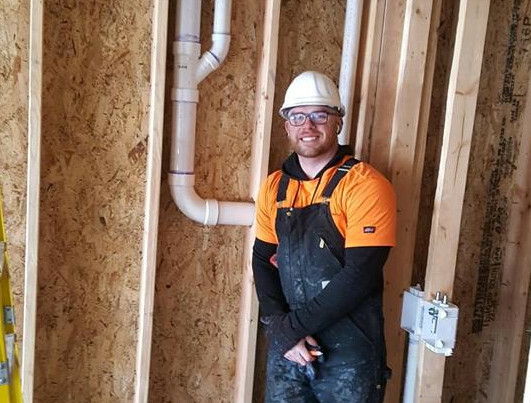 He has elevated his role at our Park Place project by taking on more responsibility and demonstrating excellence on the job with a positive attitude. He delivers the quality we expect at LMG to our clients. Thanks for being a team player and helping to bring the next generation of crew up through the ranks Dylan!